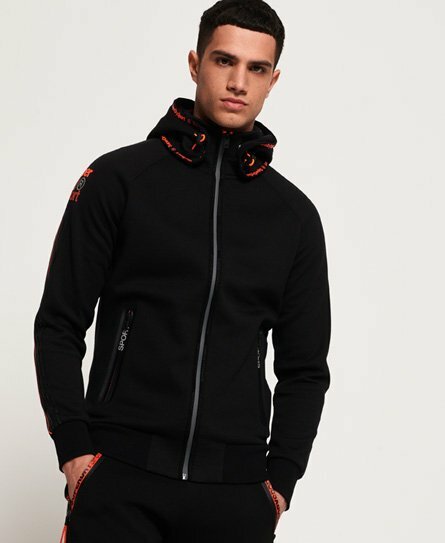 Superdry men’s Gym Tech sport snorkel zip hoodie. This zip hoodie features two zip fastened front pockets, a bungee cord adjustable hood with popper detailing and a ribbed hem and cuffs. The hoodie also features reflective detailing to improve visibility in low light, a stripe design down the arms and Superdry Sport logos on the sleeve and back.